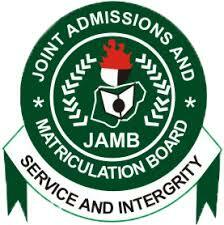 FUTMINNA Pre Degree and IJMB admission lists for 2018-2020 are out. In other words, these are the lists of candidates offered admission into FUTMINNA’s Pre-degree and IJMB programmes for 2018/2019 and 2019/2020 academic sessions. All candidates who applied for admission into Federal University of Technology, Minna (FUTMINNA) Pre-degree and IJMB programmes should take note. Since the admission lists are online, they can therefore check their status by following the steps below. Firstly, go to FUTMINNA preliminary programme admission status checking portal at https://eportal.futminna.edu.ng/cpes_adm/. Enter your admission application number in the filed required. Finally, click on ‘Confirm’ button to access your admission status. Meanwhile, application continues till 30th November, 2018. Click here for FUTMINNA Pre Degree & IJMB Forms for 2018/2019 & 2019/2020. We congratulate all candidates who have their names on the pre-degree and IJMB admission lists of Federal University of Technology, Minna.